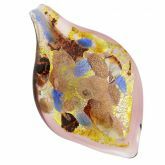 Reminiscent of the richness and unique beauty of the Venetian palazzos, these Murano glass earrings feature rich amethyst color intertwined with gold foil. 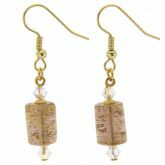 It seems that these elegant earrings have captured the warm Italian sun with their tender golden glow. 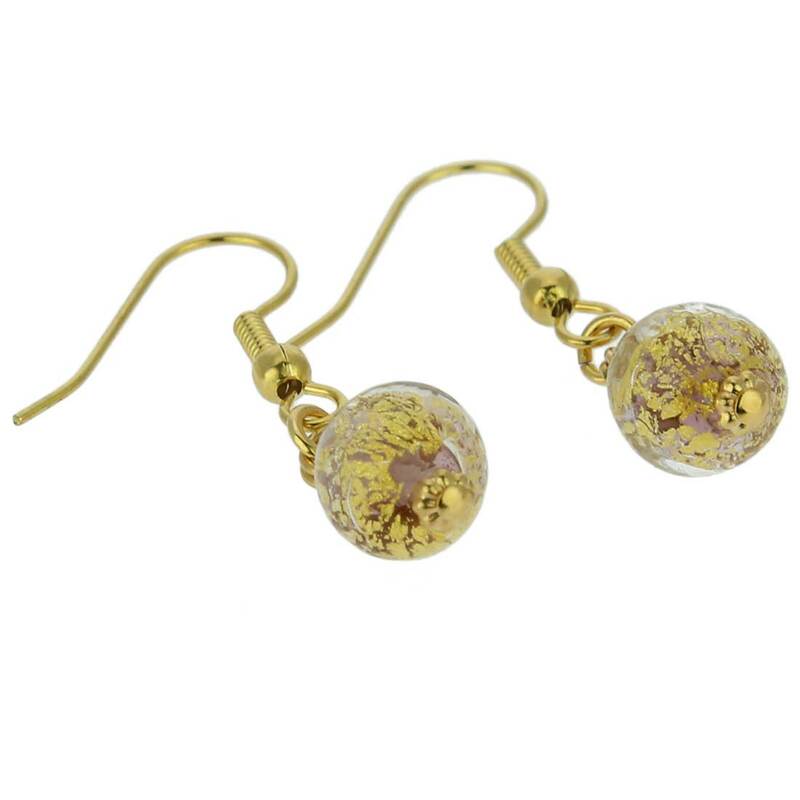 Each earring is 100% hand-made in Murano with 24K gold foil using the ancient glass-making techniques. 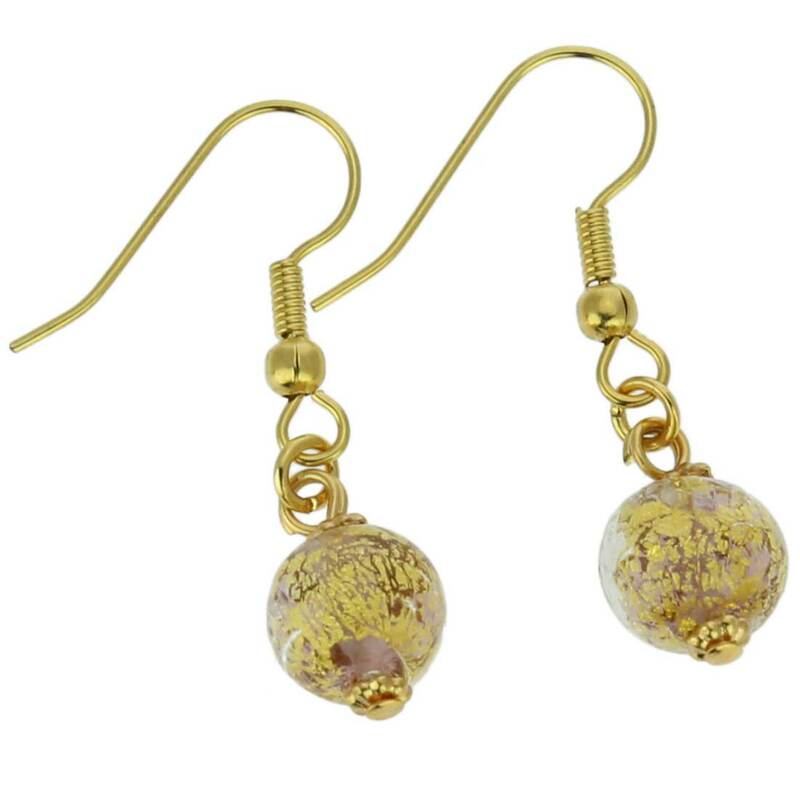 These Murano earrings are a must-have for every woman with appreciation of Italian stle and Venetian beauty. 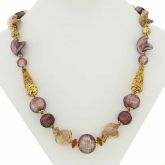 Measurements: Each bead measures 1/3 inch in diameter. 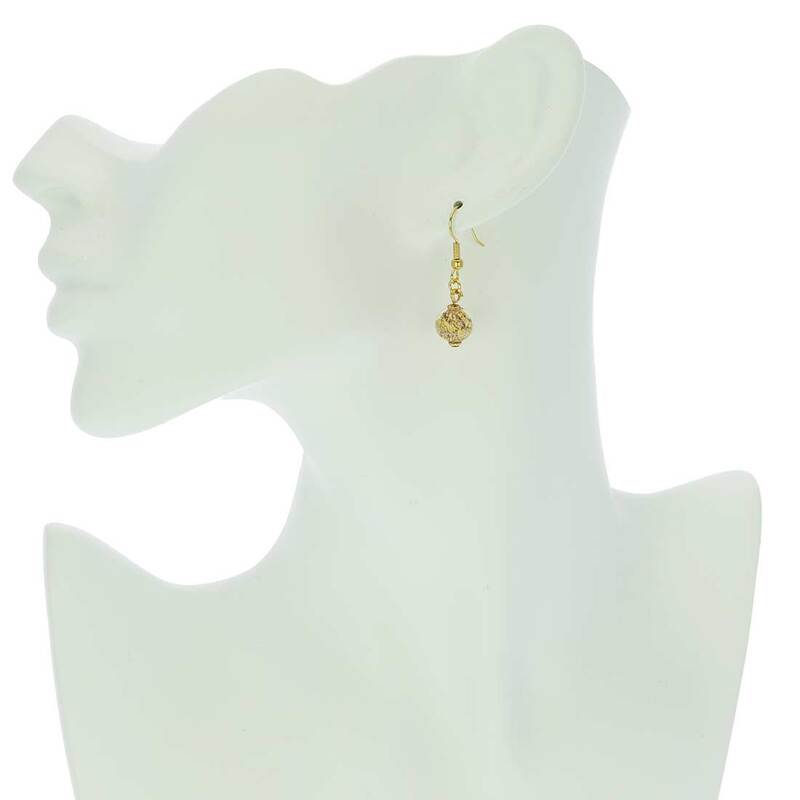 The ear hooks of the earrings are made of gold-plated surgical steel to avoid allergies. The earrings come with an attractive velvet pouch and a certificate of authenticity. I am very happy with my recent purchase. I returned from my trip to Italy to discover the items I had purchased for my staff in Venice were not among my belongings. 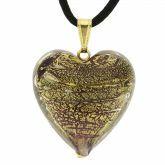 I really loved the Murano glass and was looking forward to sharing it back home in the U.S. Needless to say I was disappointed and ready to give up, then I found your site. I am very pleased with everything I purchased. The product is beautiful and equal to what I lost. Thank you! The earrings are very nice, but the amethyst color is very light. The ones shows in the picture are darker. These really are beautiful. I usually prefer silver but these have something very unique and sophisticated about them. I am very pleased with the earrings. They're beautiful! !